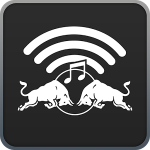 Toolshed worked with Red Bull Sound Select and Red Bull Music Radio to evaluate, reimagine, redevelop, and relaunch Red Bull Music Radio as a DMCA-compliant music website. The engagement involved working with teams from Red Bull Music Radio in Austria, as well as with Red Bull US Headquarters in Los Angeles. The finished product can be found here.